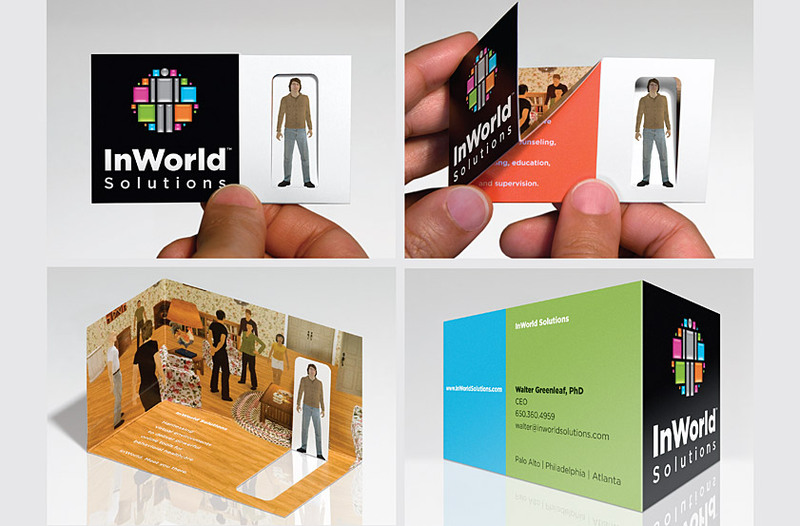 InWorld Solutions delivers the world’s first online virtual environments for cognitive behavioral healthcare. Our solution uses a symbolic avatar within a world of pixels to represent the immersive experience the environments provide users and the potentially infinite range of applications for the technology. 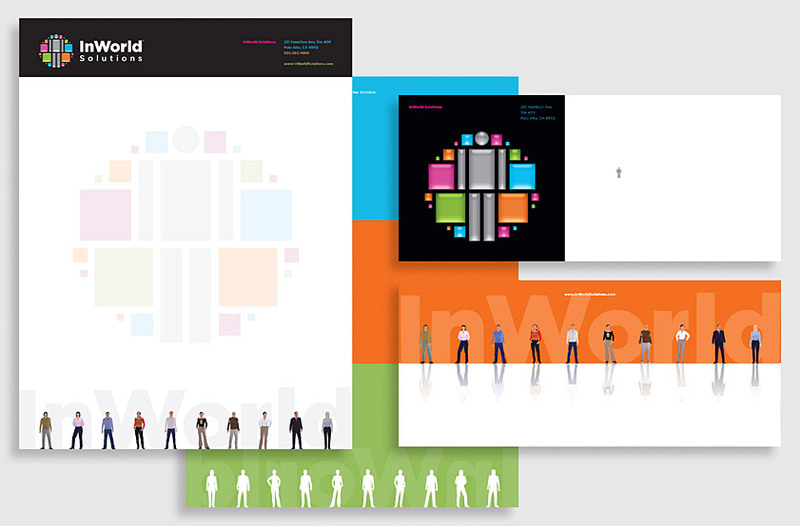 The letterhead displays different avatars to represent the technology’s diverse applications. The ghosted-back logo and logotype behind the avatars symbolize a strong support system for users. 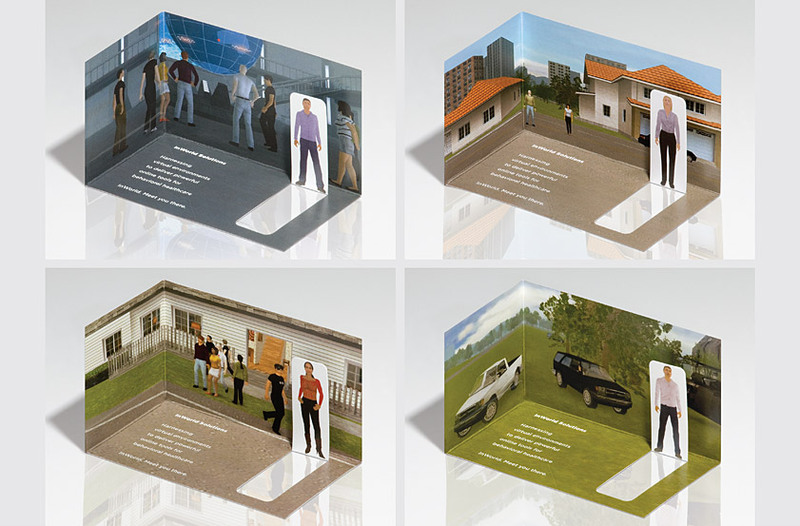 Upon closing the envelope flap, the avatars meet with their mirror images as patients confronting their inner selves. 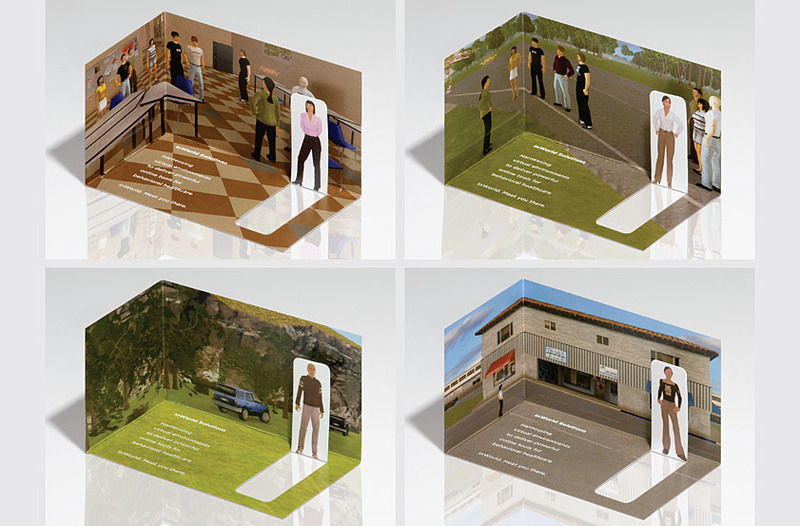 The fold-out business cards enable each team member to have their own unique avatar, which pops up into its own unique virtual environment, as a metaphor for the immersive, interactive experience the company’s technology provides users. The wide variety of environments conveys the potentially infinite range of applications for the company’s innovative technology.